When high-quality miter saws are in question, you have to be very careful about investing your money. The reason is simple – these things don’t come cheap, and even the slightest mistake may cost you hundreds of dollars. Therefore, the most important thing you should do is conduct a thorough research and find as much information as you can about these particular power tools. Luckily, we are here to help you with the issue. Instead of strolling on the Internet and looking for answers, you can find most of them in one place – here. We aim to help as much as we can by reviewing and sharing our opinion about particular models that we consider worth checking out. Therefore, if you’re in a dilemma or simply don’t know where to start, take a moment and check our reviews out, it will help you a lot with the situation. This particular model is an ideal solution both for devoted professionals and DIY enthusiasts. However, hobbyists might want to look for something less complex than this unit. On the other hand, if you have any prior experience with these power tools, there shouldn’t be an issue with this one. This 10-inch compound saw features a 15-amp motor which is capable of delivering up to 5000 RPM. As you can assume, it’s more than enough power for a vast array of different applications. For example, cutting crown mold with this unit is as easy as it gets thanks to the 45-degree blade tilt. Safety is at a satisfactory level, although it could have been a bit better. The unit is also portable thanks to the light weight and accurate due to the well-calibrated miter base. The design is pretty similar to most of Dewalt’s other miter saws. It’s light, stable, and most importantly – durable. The materials that are used in manufacture are sturdy and reliable. Even though there are some plastic parts included, they do not affect the overall performance of the machine. In fact, the machine consists of mostly metal parts that are capable of withstanding shocks, hits, and bumps. The accuracy and precision are the two main advantages of this model. Thanks to the well-designed miter plate, you are able to cut angles with high precision without the possibility of deviation. As you may know, slight deviations in accuracy can ruin the whole project. The safety is okay, but not impressive. However, that doesn’t mean it’s not a safe machine. In fact, it can be regarded as one of the safer models on the market. As far as the features go, there is a transparent blade guard included with the unit so that you can see and supervise the blade as it cuts through. It’s a neat feature because it lets you react accordingly if you ever stumble upon any predicaments. Dewalt includes a dust collecting bag with this unit. However, as with all other miter saws, you cannot expect a flawless performance when it comes to dust collecting. One of the biggest downsides of this feature is the lack of bag capacity. In other words, you’ll have to empty the bag frequently. Therefore, this unit does have some dust collecting capabilities, but we wouldn’t count on them too much. The greatest thing about DW713 is the smoothness of performance. In other words, it works great and fulfills most of one’s expectations while retaining its affordability. The first and most obvious thing people like about this machine is its ease of use and, as we said, smoothness of performance. Therefore, DIY enthusiasts that aren’t as experienced can also enjoy the high-quality and great design engineering. The 11 positive stops on the miter base are what make this particular model accurate and precise. Also, instead of manually fine-tuning the angles, you can use any of the 11 presets that are already integrated into the machine. The last, but not least, its compatibility with the LED laser is great news. If you’re looking to improve your cuts, don’t hesitate to invest in Dewalt’s laser accessory. Due to the fact that it’s imported from Taiwan, many people have doubts about the quality control department. In fact, a worrying number of consumers reported getting their unit with missing parts. Whether it’s a matter of shipping companies or the manufacturer, we don’t know. However, we strongly advise that you check your package for missing parts before signing any papers. The other thing we didn’t like is the vibrations. Because the handle isn’t cushioned, the unit tends to vibrate once it reaches high RPM. Even though the amount of vibrations varies from model to model, you should keep this in mind. Hobbyists love the Dewalt DE713 due to its simplicity and ease of use. In fact, even if you need to change the blade, you can do it within a minute or two, regardless of your expertise. On the other hand, professionals aren’t too happy about it. The things they don’t like are the vibrations and subpar dust collecting capabilities. In the end, it’s all up to you. If you think that it will fulfill your requirements, don’t hesitate to check it out, it’s a worthy investment. 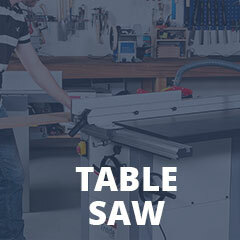 This model isn’t for everyone, but for a specific group of people that are looking for an affordable miter saw with a satisfactory number of features. In simpler words, if you’re looking for a highly professional model, you might want to check some other ones out as well. That doesn’t mean that professionals can’t use it, it means they might not be impressed by its features as much as they thought they would. As far as we are concerned, investing in the DW713 isn’t a mistake if you know what you are looking for. Also, if you use the full potential of this saw, it will increase your productivity and speed.